MATCHING GIFT OPPORTUNITY: ALL DONATIONS MADE BY DECEMBER 30TH WILL BE MATCHED, UP TO $15,000! 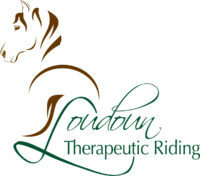 Thanks to donors like you, Loudoun Therapeutic Riding has been serving people with physical, intellectual, and emotional challenges for more than 40 years. Your donation will go directly to supporting programs for hundreds of veterans, children, and adults with disabilities. It’s a gift that isn’t just financial. It’s hope. It’s connection. It’s healing that lasts a lifetime. Thanks to generous donors, any gift you make by December 30th will be matched, up to $15,000!